Online advertising that comes in forms of banner ads and rich media is known as display advertising. 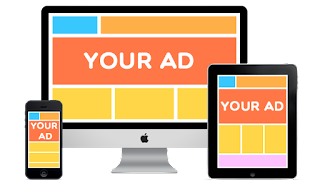 While, display advertising relies on elements such as images, audio and video to communicate the advertising message, pop-up or banner ads are the popular options available. Pop ads originated as far back as late 90s, with Ethan Zuckerman claiming that he wrote the code to launch advertisements in separate windows as a response to complaints about displaced banner ads. Albeit, perhaps the most insidious of these new ad types, Pop ads remains the Sheriff of the modern Internet advertising world – annoying but pretty useful. Stats from Internet research firm NetRatings, claims that pop ups accounted for just 2% of online advertising in the first half of 2002. Whereas, that 2% added up to 11.3 billion pop up ads delivered. Admittedly, unscientific poll of over 80% of Internet users hate pop ups because they are distracting and may clutter up the display. But, the truth is that pop ups work. And like inserts in the newspaper, pop ups are freestanding ads, meaning you'd probably glance at them even before closing the window. Hence, the companies that buy pop ups love them. Orbitz, online travel service, essentially built their brand from scratch with pop ups and who can forget given that they ran about 687 million of them in the first half of 2002. In the same vein, the pervasive X10 spy camera ads that launched the pop up revolution? Nothing like a pop up to make you feel simultaneously annoyed and thrilled. What's the future of Pop Ads? From an advertiser standpoint, the visibility advantages of pop up advertising clearly outweighs the consumer backlash. Orbitz tries to blunt the “I hate pop ups” mindset by creating clever, interactive pop ups using Flash, but now can be effectively done using HTML5. If you’re looking to online advertising and want to go “beyond the banner,” the pop up is a great option. As for the consumer, you’d probably be stuck with it for at least the foreseeable future, as long as pop-ups remain effective. If you're a web publisher looking for comparatively easy way to make money outside the old monetization systems, then you'd want to consider a reliable Pop ads service like Shorte.st. In conclusion, every good ads work, regardless of platform, something that most pop up advertisers are yet to realize. But, the real smart deal is to buy some traditional banners as a baseline, as well as pop ups and rich media ads.